Tata Motors Limited announced this week that small scale production of the Vista EV supermini has now begun in Coventry and that full scale production should commence next year. The Vista EV is the final production version of the Vista EVX prototype which proved its credentials by winning the Most Economic Small Passenger EV and the Most Economical and Environment Friendly Small Passenger EV awards on last year’s inaugural RAC Brighton to London Future Car Challenge. The production-ready Vista EV was exhibited at this month’s Geneva Motor Show where a Tata Motors’ representative hinted to AROnline that an announcement about the start of UK production was imminent. The first 25 Vista EVs are to be supplied to the Technology Strategy Board (TSB)-sponsored Coventry and Birmingham Low Emission Demonstrator (CABLED) Programme but the company currently plans to assemble a total of 1500 units in all. An additional 23 workers have been recruited by Tata Motors European Technical Centre plc (TMETC) which already employs 200 staff at the company’s facility on the University of Warwick’s campus in Coventry and more will be hired as production increases. 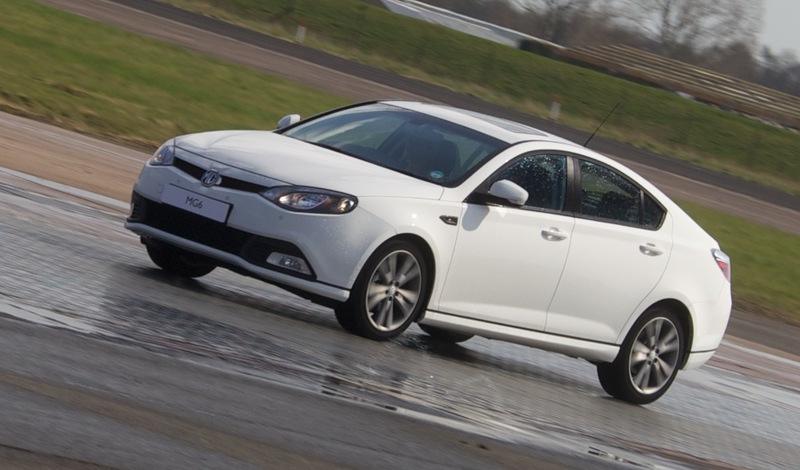 Interestingly, TMETC has opted to follow the same production model as that adopted by MG Motor UK Limited for the new MG6 – part-built vehicles arrive from India and then the batteries, transmission and interior trim are added. The Tata Vista EV has a range of 110 miles with a top speed of 71mph and the TMETC (and former MG Rover) Engineers we spoke to in Geneva earlier this month saw the car’s role as that of an urban runabout rather than as a motorway cruiser. However, unlike, for instance, the MINI E, the Vista EV can accommodate four people. The Engineers heaped praise on the Nissan Leaf but pointed out that the Vista EV looked more like a proper car which should appeal to the more conservative buyer. The car which AROnline examined in the metal was certainly not a headline-grabbing Concept car but a fully-functioning, production ready EV. The remaining vehicles in the batch of 1500 units are expected to go on sale to the general public at the beginning of 2012. The exact on the road price has yet to be confirmed but sources have suggested that will be between £25,000 and £30,000. However, as the Vista EV qualifies for the Government’s £5000 Plug-In Car Grant, the actual purchase cost should be reduced to a more affordable level. Hey, I was just about to post that I’d seen one of these on the A5 yesterday afternoon! Maybe it was heading for MIRA? It was silver car on a 60 plate – PE60??? “More like a proper car”? That’s a half-hearted claim – especially for a price-handicapped product (like all EVs to date). However, new engineering jobs in Coventry are a good thing, but my how empire has come full circle! Britain takes on the role of a colony, undertaking a basic final assembly for the local market. Any profits or strategic decisions remain with the overseas industrial power. This is a bit of a surprise but a welcome one. It will be interesting to see what the quality’s like – it needs to be miles better than the CityRover. EVs have a lot of potential but, honestly, £20k for this, even after the Government Grant has been taken into account? Hey, it happens. We are a lazy, lazy country on the whole with a few on the fringes who have any real talent – and, of course, a lot of that talent goes overseas. The quality is there, for sure – supposedly the Vista EV’s seating will be trimmed in the leather we saw in Geneva and that was Jaguar-quality stuff. My sister has just moved to TMETC from JLR and reckons that its a serious project with great potential – little acorns and all that. Yes! Why could Austin not be resurrected for re-engineered Tata small and medium models and Rover used for a compact luxury model to replace the X-TYPE? Come on Tata, you know you want to! The Vista looks really OK and not fuddy like most superminis. I’m changing my car at the end of next year before its first MOT so are Tata doing a petrol version? Well, as you probably know, SAIC Motor (through NAC) owns the IPRs to (inter alia) the Austin and Morris marques. SAIC Motor already uses the ‘Morris Garages’ tag in MG’s Chinese marketing and may be restricted as to the use to which the Austin name can be put by the now seemingly moribund Joint Venture Agreement between NAC, HFI Automotive Limited and Healey Automobile Consultants Limited. See this copy of the original Press Release dated the 12th June, 2007 and note the second paragraph. I would not therefore bet on the chances of Tata Motors acquiring the IPRs to either the Austin or Morris brands from SAIC Motor/NAC. Well, if Tata can’t acquire the IPRs for Austin or Morris from SAIC, then what about creating a new badge such as, er… Spiritual? Oh, and before anyone suggests it, no, don’t put the ‘R’ badge on the Vista. Keep that reserved for something more in keeping with its upmarket, luxury image. Who owns the Standard brand? The last time it was used was on Indian-built SD1 and Standard was, after all, a Coventry brand. Mind, if you forgot to charge it, you could call it a Stranded! The Vista EV is a really exciting project though – let’s hope it is the start of bigger things. Yes, it would be nice to see one of the old BMC/BLMC legacy brands returning. That might be a bit unlikely though: Tata is already a bigger name than any of them internationally and probably better known – even in the UK. I have just done a quick check on the Intellectual Property Office’s website and so can confirm that the IPRs to the Standard badge for use on “parts, fittings, components and accessories for vehicles” are registered to British Motor Heritage Limited, Range Road, Cotswold Business Park, Witney, Oxfordshire, OX29 0YB. See this Search Result. 1) Is that the C-pillar from the MG ZERO Concept and, if so, is this where the dated DNA comes from? 2) I’ve just read the Nano is being “considered” for release only as an EV in Europe… Hmm, maybe this “small run” is to see if the Nano EV would sell? I personally quite like the idea of a Nano EV – it makes perfect sense. Quite so, Jonathan. Thirty grand – THIRTY GRAND – for low-cost Indian tat?? Someone’s having a laugh – and they’re quite probably located in India. Oh, and lest we forget, a “Government Plug-In Car Grant” is paid for from my taxes so it’s not a discount at all in my ever-shrinking book. The Vista EV’s a nice looking car, very conservative and won’t look out of date in five years time. Good luck to Tata Motors and good on them. Why would the Tata Vista EV have anything to do with MG Motor UK? “Thirty grand – THIRTY GRAND – for low-cost Indian tat? ?” You mean in comparison with Austin Rover’s award-winning range of electric vehicles, produced at Longbridge since the successful launch of the electric Metro in 1985 (sic)? I don’t tell others what to do – so try placing your pompous “get off…” comments right back up your exhaust pipe, Sir. India is still a low-cost and predominantly low-quality country – and these vehicles are produced in India, with only a bit of final assembly here. £30k for a small vehicle built in such conditions is, I maintain, ridiculous. Hmm, and not one of them British-owned… Sir! What’s built in Coventry these days? Jaguar and Peugeot pulled out years ago. Well, in answer to your Comment at #8 above, that’s because no one wants to buy an Austin (or Morris for that matter – I mean even the names sound old-fashioned!!) and there’s too much of a stigma attached to Rover. Everyone criticises SAIC Motor for trying to resurrect MG! That’s a good point. The Austin and Morris names have been out of the public’s consciousness for so long now they mean nothing any more – regrettably. They would have to be a niche brand on some retro-styled motor a la Nissan Figaro – who can afford to indulge themselves by making such a motor these days? Well, from my perspective, if it is possible to turn around the fortunes of Skoda with well-engineered cars, then anything is possible with Austin, Morris, Rover and any other British marque. Build it with quality and it will sell. Exactly – build it with quality, but also sell it at an ‘honest’ rather than over-inflated price and, in addition, provide a Dealer Network which knows how to deliver a high qualty service to the customer. That way the public will start to vote with their cheque books. Who owns the Triumph brand? That never really got tarnished in the way many of the others did. Incidentally, under very different circumstances, it would have been great to see a new Minor – a British answer to the Bini, Beetle and Fiat 500. Sadly, that is never going to happen. I think that the BMW Group owns Triumph – I believe they saw that as a premium brand. SAIC Motor/NAC certainly do not. The new Minor is an interesting thought and would probably merit a credible reinvention like the other cars you mention. There was talk of a Triumph sports car based on a BMW platform some time ago. A (woody) Minor would be nice but remember how well the new Beetle didn’t sell… Given the Coventry base, Riley would be a good name to revive but that’s probably inappropriate. The BMW Group owns the IPRs to both the Riley and Triumph marques, so it is highly unlikely that it will permit another manufacturer to use either name. Oh yeah, brain failure… Sorry. This Vista EV looks okay? Well, it looks like a mid-1990s plastic prototype mess to me – bland as well as insubstantial and generally anodyne… Yuk! I’m not sure exactly who these cars are aimed at – the Mitsubishi i-MiEV is another one. Indeed, considering you get what would otherwise be a sub £10k-sized car and have to pay an extra £15-20k to get it powered by a limited-range electric motor instead of a “normal” engine, I don’t understand who’d buy one. I reckon that, even if you factor in fuel costs and VED (and Congestion Charge if you’re in London), you’d have to do a monumental mileage for that to cost you more than the price difference between this and a combustion-engined car. Hmm… I don’t think there will be many takers at that price. Let’s not knock Tata though as things have changed massively since the ill-fated CityRover. I hope that they re-introduce the Rover brand and build part of any Rover range in the UK. However, I think Mr.Tata sees Tata evolving into a global brand! The Vista EV’s looks are equivalent to anything in its sector in the metal – the high content of recycled plastic in current cars gives them all a look of cheapness. Ross, please speak for yourself. You may well be lazy but I and my friends and colleagues work damn hard for our wages. Do the likes of Honda bring a workforce with them when they set up in the UK? NO, they use the same UK workforce you call lazy. Tata should take a gamble and bring out a CityRover version – that could be a low-cost way to see what the real interest in Rover is. I’m driving an autobox ’04 Focus at the moment and I still lament the loss of my beautiful 51 reg Rover 25 Stepspeed – it was in the best colour, too: Wedgewood Blue. I think there is huge mileage in a revived Rover marque existing below the Jaguar range with Tata being a value brand. £25-£30k gets you a lot of motorcar. Just launch the damn thing here now with a petrol motor and a sensible price and it will sell. Come on, Dacia is coming back and Lada may be on the verge of right hand drive production of its current crop (which don’t look too bad to be honest), thanks once again to that French dinosaur Renault! Oh and Skoda are going to be launching a sub-Fabia sized car soon, so soon there will be a massive choice of bargain basement motors hitting the UK shores – given the cash strapped-times in which we are living, they will sell. Like I said, “the fringes”. However, in essence, I was talking about the education standard here as it’s below that of even Poland which is not good. Well, if “CityRover” is used again, I would like to see a new badge for effectively a new marque, just like Land Rover has a separate badge. I would not want the Rover badge to be abused/devalued any further so that the re-introduction of a prestige car would still remain possible. I’m with you on that one. 1.2 million cars built in the UK last year and during a recession – that’s hardly lazy. There’s too much doom and gloom from the press/media – it’s time to talk positive. Do all of you bemoaning the £30k price-tag realise that the Vista EV is an ELECTRIC vehicle? The extra cost goes into the price of the batteries – not a hide interior and Pininfarina bodywork. This isn’t the car for you if you want £30 grand’s worth of luxury. However, if you want an electric car, then it’s probably worth a punt – if Tata want to launch a budget petrol motor, they’ll launch the Europeanised version of the Nano, as seen at various Motor Shows last year. Well Simon, I read the article and I do realise that the Vista EV is an electric vehicle. Thanks for the clarification though. I suppose that, if preserving the environment is important to you, you’d doubtless be prepared to pay a premium for an EV. However, in economic terms though, you’d have to do a hell of a lot of miles in a £30k Vista EV before you’d recoup the extra cost over the price of an equivalent car with an internal combustion engine. That’s sad because I would like to reduce my carbon footprint, but it doesn’t make economic sense just yet. Thanks for the patronising reply. Me neither – I think that electric cars are a waste of time and money at the moment, as are hybrids. However, the ‘re-launch it and sell it cheap with a petrol engine’ comments too and the general ‘slag-off Tata’ remarks are also patronising. We all did that to Japanese cars once but look at them now – and Korean cars and, soon, Chinese and Indian cars too. Yes, I realise it’s an electric car – I make numerous references to that fact in my comment. Like Jonathan Carling, I simply don’t see why *anyone* would consider forking out £30k for a £10k car just because it’s powered by batteries. I, too, would love to reduce my carbon footprint, but I don’t see how this will do it. Surely running a low-emission petrol or diesel-engined car will ultimately offset the cost to the environment caused by the manufacturing of the batteries that power these vehicles? I agree. I imagine research exists on the ‘whole life, whole costs’ economics of EVs. The electricity that comes from the charging points generates emissions at the power station too. Indeed, if anyone knows how to access that kind of research, it would be very interesting to see it. Where are these Vista EVs being built? I know that Tata Motors has a presence at Warwick University and does engineering work on both future Tata and Jaguar Land Rover models there but you need a lot of space to build a car, don’t you? There’s a big hole at Ryton that could do to be filled! The planned batch of 1500 Tata Vista EVs will be assembled in Tata Motors European Technical Centre plc’s (TMETC’s) facility on the University of Warwick’s campus in Coventry. See the fourth paragraph of the article above and the subsequent article headlined Tata Motors: UK engineering base at Warwick University set to expand which was based on a Press Release issued by Tata Motors Limited earlier this week. However, whether Tata Motors Limited has any plans to assemble other versions of the Vista and/or any other models in the UK remains to be seen. 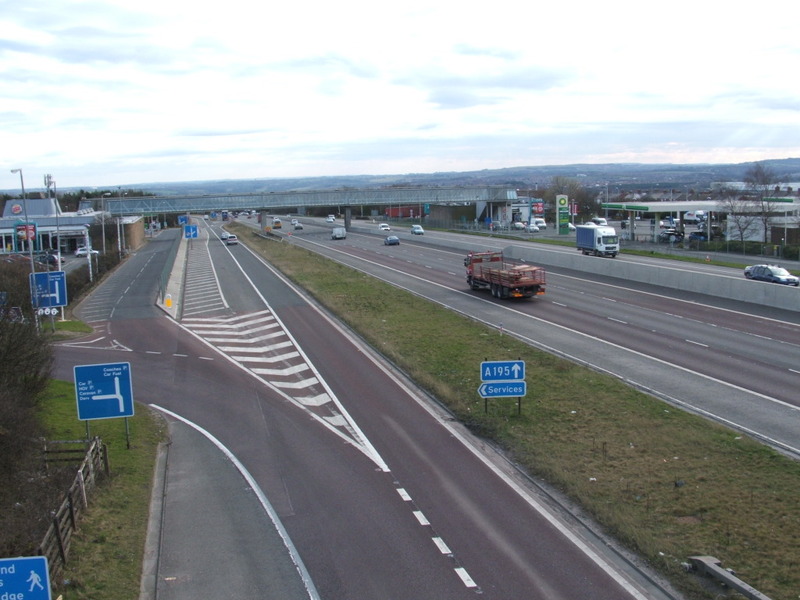 That said, commercial logic suggests that, if there are any plans for UK assembly beyond the 1500 Vista EVs referred to above, the company might look to expand one of the three existing Jaguar Land Rover plants instead of developing a completely new facility – the site of the Halewood plant on Merseyside apparently has plenty of room for any such expansion. The Vista EV reminds me of an updated version of the CityRover and looks nice. I think that it’s a good idea to bring back old brands but, as noted above, most of the other former BMC/BLMC brands are now owned by other companies. We know that BMW owns Triumph but do they own Standard as well? However, as Tata owns the Rover brand (through Land Rover), perhaps they could re-invent Rover or use CityRover as brand in its own right. Anyway, if the Vista went into full-scale production or was even assembled from CKD kits here in the UK, that would provide badly needed jobs – there would seem to be enough spare capacity at the exsisting Tata-owned sites. You can find the answer to your question about the current Proprietor of the IPRs to the Standard brand for use on motor vehicles in my Post #15 above. People will fork out £30k for a £10k car because it’s run on batteries, just as people currently fork out £21,000 for that bland box of misery that is the Toyota Prius – they think they’re doing their bit, whilst knitting lentils and weaving interesting shapes into their beards or, alternatively, wearing kabala wristbands and adopting disadvantaged orphans, whilst making a killing by producing crap films/pop music/art. I agree we’re a long way off developing the battery technology which will make electric cars really viable. I reckon that, until you can recharge a battery at a host of roadside stations as quickly as you can fill a tank of fuel (and get 400+ miles out of that recharge), EVs are going to be ‘city cars’ and not much else. However, that shouldn’t prevent us from encouraging the development of this technology. You mean something like the new nanostructure-based cathode technology mentioned in this recent AutoblogGreen article by Jonas Dalidd? I support your sentiments over the use (or not) of the Rover name on the new Tata Indica Vista. The Rover marque should, as you suggest, be reserved for something more prestiguous and in keeping with the true values of the brand – in other words, a car which has ‘aspirational’ written right across it and would, preferably, compete in the compact executive market sector. Look where the Japanese established their factories – they may not have brought a workforce with them but they built a new one from scratch and didn’t touch anyone from the legacy British car industry. I know a guy who was a Supervisor at Swindon from day one and, like many of his colleagues, he was ex-military. Honda took no chances – no unions, no old BL-attitude people and, by the way, your boss is a former Para. I’m not being funny here but, when Ford took over Solihull, they noted that absenteeism was rife. You might just say that it was inept management and this is very true – but the first reaction of the unions was to complain that Ford were picking on the workers and, quite frankly, didn’t want to fix anything from their end! Britain isn’t hungry to be the best any more and is pretty much happy with the ‘that’ll do’ attitude – it’s with this in mind that I’m considering a move to either Canada or the Czech Republic. The main reason why Japanese manufacturers came to the UK was nothing to do with ex-military supervisors or our ‘fantastic’ (sic) workforce – the UK Government of the day gave the Japanese such generous tax-breaks that the UK was the most economical option. Had they not had those incentives, I’m sure that Nissan, Honda et al would’ve set up in Eastern Europe to make use of an eager and very cheap workforce but, at the time, the Eastern bloc was still largely Communist and hence a closed shop. Tata Motors has been improving its products continously. 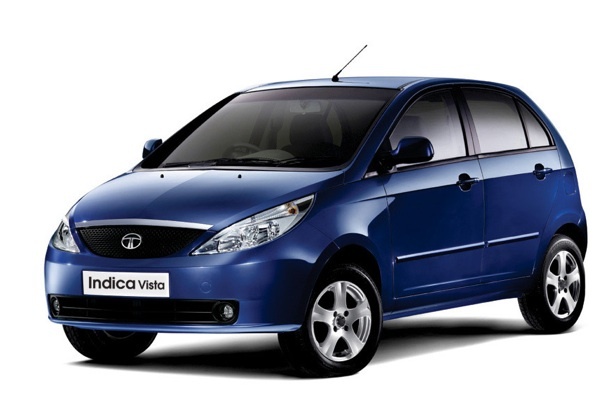 I had a chance to drive an Indica Vista during my last visit to India – it was a diesel with a Fiat 1.3-litre engine. The interior was okay with soft touch plastics but the fit and finish could have been better. The price of the model which I drove was around $14000 – it is quite spacious and comfortable. You can see this 360 Interior View on Tata Motors’ website. Anyway, as far as the Vista EV is concerned, it still would be out of reach for many buyers and it would take a major price cut for it to be economically viable for most people. Most of the addtional cost over the standard car’s £10k-£12k can be attributed to the electric cells /labour/ research which would be added while the EV is assembled in UK.